Good morning! 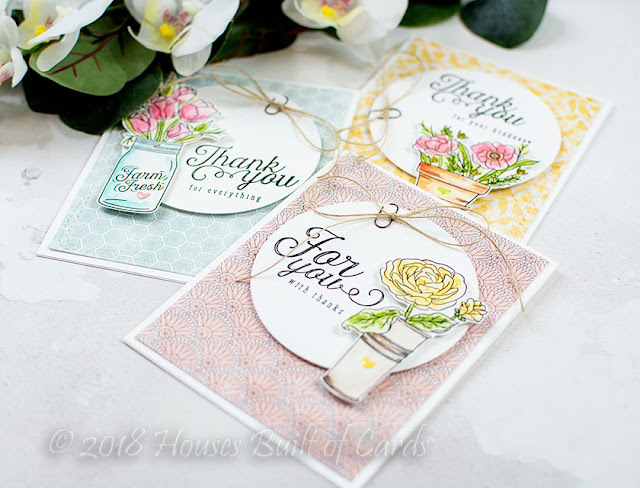 I'm here to share a trio of fun cards using the BRAND NEW Simon Says Stamp Card Kit for August - Mandy's Flowers! This kit is AMAZING! There is not only a large 6x8 stamp set included, but also a gorgeous 6x6 background stamp! 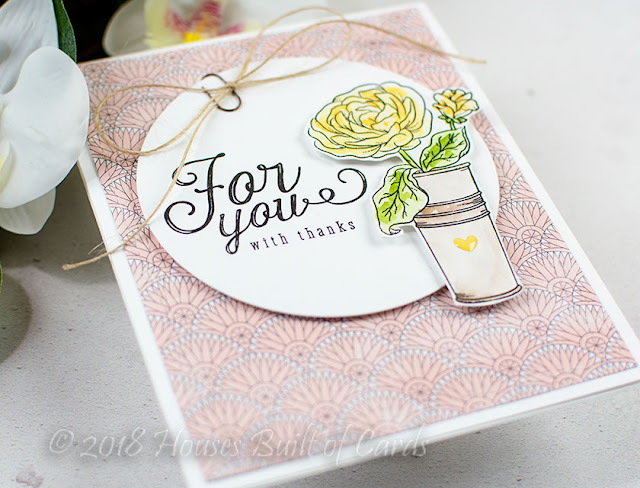 And all this in addition to the beautiful pattern paper, embellishments, and cardstock! 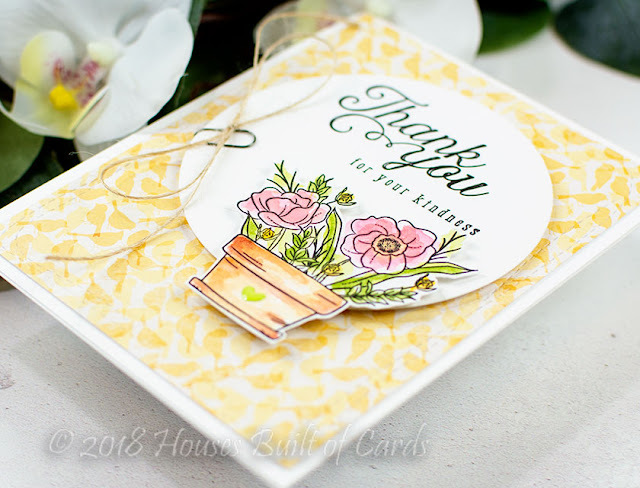 I have a trio of fun floral cards to share with you this morning featuring the beautiful stamp set, Mandy's Flowers, and some of the included Bo Bunny pattern Paper! 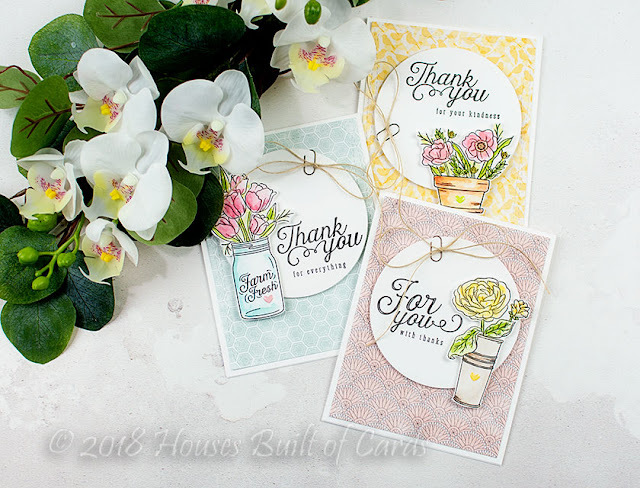 I started off my cards by stamping the florals on watercolor paper using my MISTI, fussy cutting them out with my scissors, and then using my Daniel Smith watercolors to color the images in. Usually I watercolor before cutting out, but I wanted to try to keep my colors contained within my fussy cutting, and I'm always too tempted to start adding color around the image! 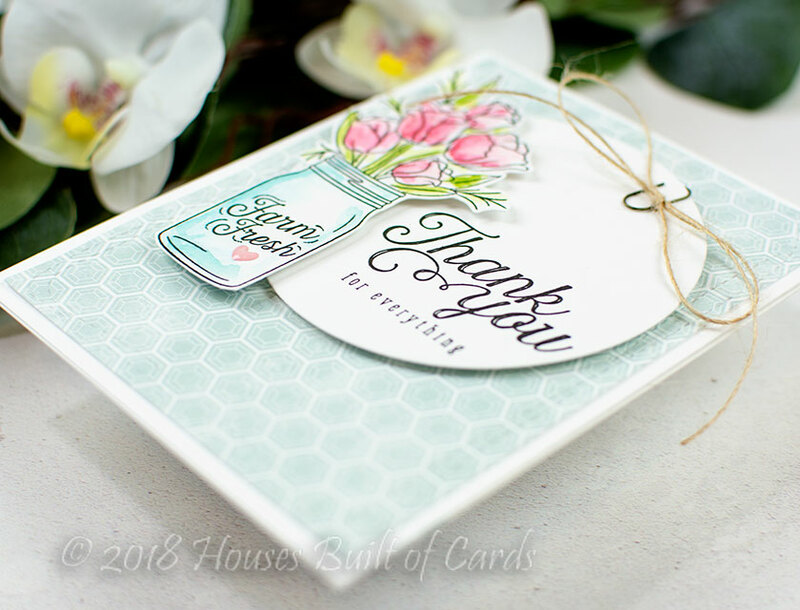 Once I finished that, I chose some coordinating pattern papers from the kit to go with each image, and die cut them all with the larges SSS Wonky Rectangles Dies., and attached them to white top folding cardbases. 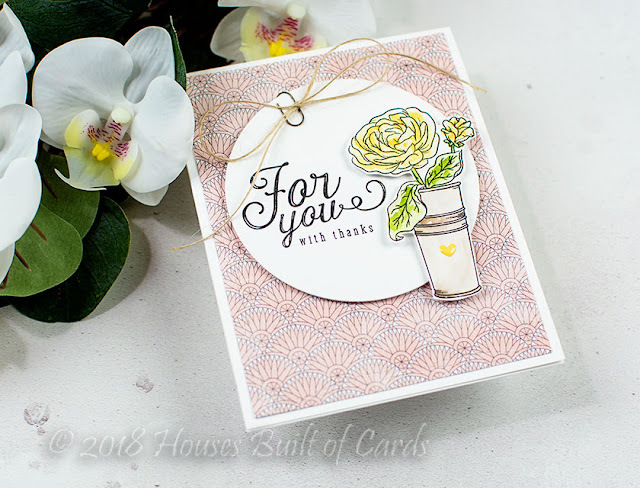 Next up, I die cut some white circles using SSS Nested Circles Dies, and chose a coordinating sentiment for each card from Mandy's Flowers. Once I added the stamped sentiments, I die cut slightly smaller circles from Fun Foam using the same SSS Nested Circles Dies, just a smaller size, and then used that to foam mount my circles on the cards. I then added the florals, also using foam adhesive, tucking a double layer under the part that poked out from under the bottom of the circles for stability. 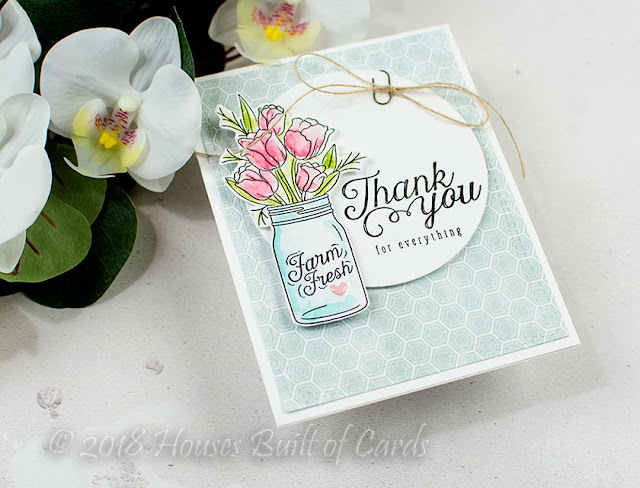 Finished off by adding one of the tiny Doodlebug Tiny Hearts Sprinkles from the kit onto each jar, vase, or pot, then added some of the twine from the kit tied in bows and attached with a tiny Tim Holtz Paper Clip. 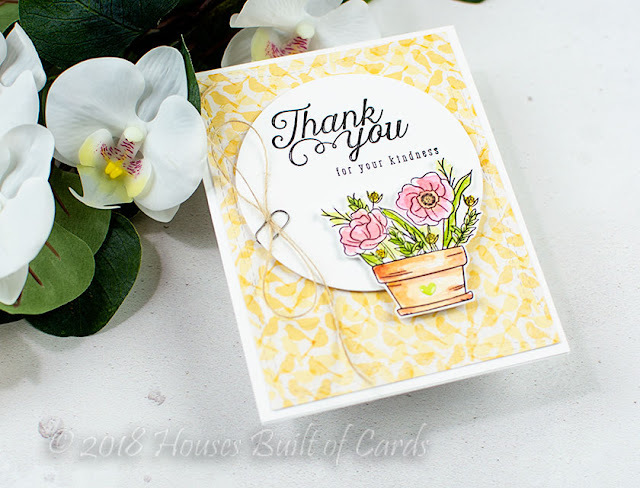 I have several more cards that I'll be sharing soon with this kit - if you love it as much as I do and don't already subscribe, I suggest popping over to grab this one soon! I have a feeling it will be gone fast!